Attention Management Majors…and those who might like to be! The Supply Chain and Operations Management concentration, now an option in the B.S. in Management, will give you a tailored set of courses and skills that employers love. When an employer asks you what you are majoring in and you say Management, you can now add Supply Chain and Operations Management. Students graduating with this major/concentration have some of the top salaries in the School of Business and Economics, as high as $60-70K. The majority of students in this concentration have at least one internship. Supply chain and operations management majors are highly sought after. All it requires is to complete a four course concentration that includes cutting edge courses as Introduction to Supply Chain Management, Procurement and Supply Management, Six Sigma Fundamentals, and Transportation and Logistics. If you are interested in learning more about career opportunities, you may speak with Dr. Greg Graman or Dr. Dana Johnson. If you are ready to make the move, Carly Harrington will help you with your schedule. 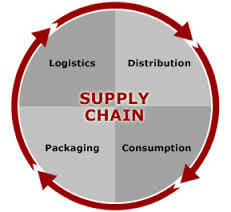 In Spring 2014, OSM 3150 Intro to Supply Chain Management and OSM4650 Six Sigma Fundamentals are offered and will get you start towards an exciting career!